With the recently concluded Swangz Avenue All Star tour and all the drama that unfolded, most notable being the crowd throwing bottles and plastic chairs at Bebe Cool, many different stakeholders have come out to address the situation and give their opinions. Bebe Cool in that effect cancelled all his upcoming events in order to save his life.After Bebe Cool was hit with bottles on stage when he was starting his performance at Lugogo Cricket Oval, he came out and said that Bobi Wine was faking pain. It is on this note that Nobert Mao came out to say that Bebe Cool is not a medical doctor and he never even consulted the doctors at Rubaga Hospital to know the exact state of Bobi Wine at that moment. Mao added that Bobi wine is now far ahead of Bebe and they are no longer at the same level like they used to be. 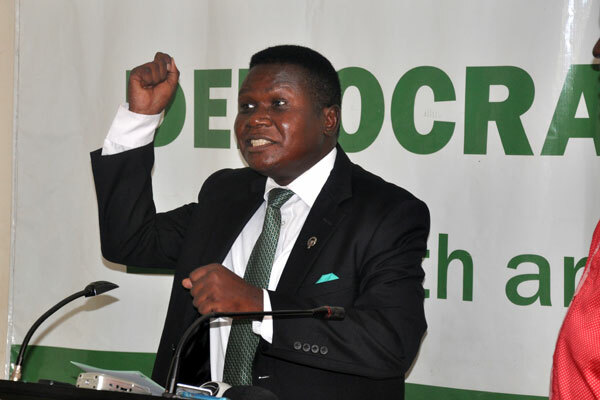 DP president Norbert Mao has also voiced his opinion saying the best way to end this hostility is Bebe Cool apologising to Bobi Wine and his fans. READ That's a "No go" Zone - Bebe Cool Warns Haters Off His Wife Once Again. Whether that apology comes through or not, is up to Bebe.